Our Building - First Unitarian Church of Philadelphia ~ Welcome home! Inspired by the sermons of Joseph Priestly, the famous scientist and humanist, a group of laymen formed the congregation of the First Unitarian Church of Philadelphia in 1796. Now in its third edifice, the church has a distinguished architectural past with buildings by Robert Mills and William Strickland. The present church and Parish House were designed by the great architect, Frank Furness, in 1883, who was the son of the church’s long-time minister, the Reverend Dr. William Henry Furness. Serving the church from 1825 until his death in 1898, the senior Furness was a scholar and activist who set the church on its continuing path of social concern with his courageous anti-slave sermons and Underground Railroad activities starting in the 1830’s. His son, Frank, designed the current church building in response to the call from his father’s close friend, Ralph Waldo Emerson, for a distinctly American architecture. The congregation that built Furness’ design at 2125 Chestnut Street in the 1880s was large, prosperous and prominent. 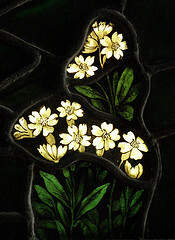 Seating 700, the sanctuary was decorated with fine furniture, memorial plaques, and stained glass, including the first Tiffany window installed in the city and works by La Farge and Henry Holiday. Even as the congregation shrank dramatically in the middle of the 20th century, as the city lost tens of thousands of residents and dozens of churches, First Church members elected to remain anchored in our Center City location. Rather than selling our Parish House, as was seriously considered in the 1970s, we opened our doors to our neighbors and became a center for neighborhood services and regional cultural and political events. The original Frank Furness design included a porte cochere for unloading carriages. Unitarian Universalism is a religious search for truth and meaning which draws its spiritual and ethical beliefs from many sources. As members of this denomination, we affirm a direct experience of that transcending wonder of the holy while also advocating the importance of reason and the freedom of inquiry. We honor the wisdom of many world religions as inspiration for spiritual and ethical living. We believe we are a part of a vast interdependent web of all existence and are therefore called to be stewards of the Earth. Recognizing the dignity of every person, we are dedicated to integrating compassion and justice in human relations. Unitarian Universalists have demonstrated these values over time by being the first American denomination to ordain women and sending large numbers of ministers—including James Reeb who was slain in Selma, Alabama—to the South during the Civil Rights Movement. First Church continues the tradition of fighting racism and affirming the worth and dignity of all people through a vibrant racial justice ministry, in collaboration with three location congregations. In 2006, First Church voted to become an official “Welcoming Congregation,” continuing 40 years of advocacy and activism for equal rights for gays, lesbians, bisexuals, and transgendered people. 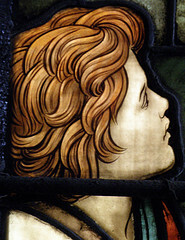 The image of Caroline Furness Jayne, the grand-daughter of minister William Henry Furness and niece of architect Frank Furness, is captured in one of our stained glass windows. 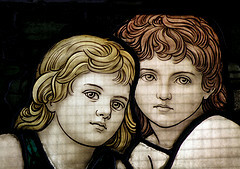 First Church's stained glass is unique for including images of women other than Biblical characters, demonstrating an early commitment to gender equality. First Church is the long-time home of two day care centers. Every day, dozens of working parents drop their children off at the Beacon Center (3rd floor) and Little Miracles (basement) for loving care. Both centers boast long-tenured staff, one of the best signs of a good child care center. 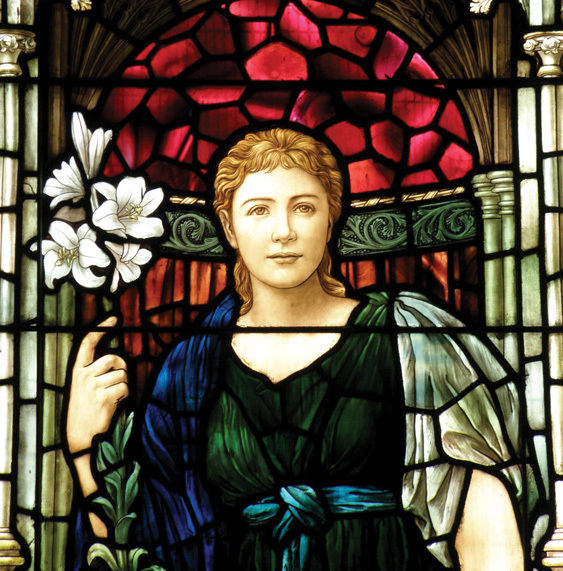 Members of First Church founded the Beacon Center in the early 1980s to exemplify the values of the church. Our congregation also draws parents of young children with our religious education program that promotes value-based learning about our responsibility to one another and to the Earth. One rite of passage for our teens is visiting congregations outside our denomination to promote open-mindedness and encourage them to see the universal messages of love and justice in other religions. 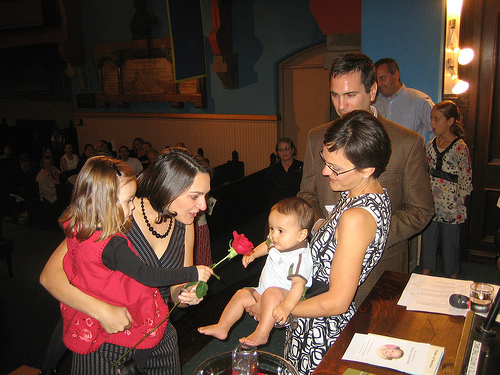 Child dedications, conducted with a thornless rose, are a special right of passage for Unitarian Universalist families. First Church proudly provides meeting space on a non- discriminatory basis for many different groups and activities— yoga and aerobics classes, meditation, Narcotics Anonymous meetings, forums by the Americans for Democratic Action and Common Cause, Black Women’s Art Festival, Fringe Festival dance events, and vigils honoring victims of violence in Philadelphia, for example. Music has always been an integral part of church services, and First Church is home to a concert-grade Casavant pipe organ. With its convenient Center City location, First Church is known as a prime entertainment venue for all ages. We host “Music- for-Children” classes four times a week, regular classical music concerts by Dolce Suono, and for young indie rock fans, alternative and punk rock concerts. 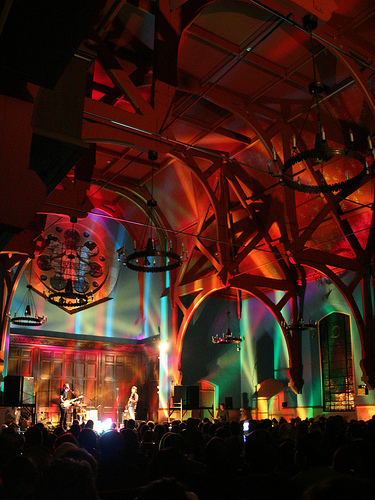 In November 2007, Rolling Stone magazine featured the church as one of the top alternative rock venues thanks to the success of the events organized by R5 Productions in our basement, chapel, and sanctuary. An R5 Productions punk-rock concert draws hundreds of young listeners to the sanctuary with a drug and alcohol-free mission. First Church is at the beginning of a new, vibrant, twenty-first century ministry under the dynamic leadership of our Minister Reverend Abbey Tennis, and the congregation is making a renewed commitment of serve to the wider community. First Church draws new members for many of the same reasons that long-tenured members keep coming back: a feeling of family, a shared urban ministry, an affirmation of the whole self, and a chance to wrestle with theological, ethical, and political issues and share in one another’s spiritual journeys. First Church looks to a promising future of continued community. We regularly host social-action events while remain committed to being good stewards of the dazzling showplace for the architecture of Frank Furness for another two centuries. 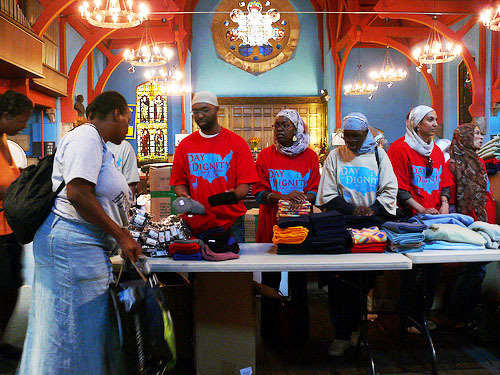 In 2008, the First Unitarian Church hosted its second annual "Day of Dignity" with the Islamic Relief Fund, distributing clothing, providing health services and feeding over 400 people without homes. First Church is proud to have the support of Partners for Sacred Places in preserving our landmark church building. 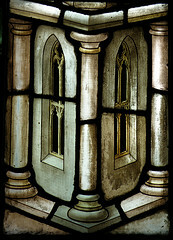 In 2006, several members of our congregation enrolled in Partner’s New Dollars/ New Partners training, a multi-session program for congregations that have a sacred place that is more than 50 years old, have capital needs beyond the financial resources of its congregation, want to strengthen their connection to the community, and want to use their building more effectively. 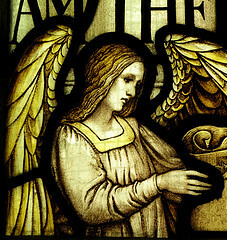 In addition to financial support and training, Partners supports its grantees by providing resources including its unique online tool for assessing the value of congregations to the community. The Public Value Tool requires congregations to input information about the programs and services they support and the staff time and building resources those programs use. The calculations are based on research conducted by Partners in collaboration with social work researchers that assigns a dollar value for that which communities too often take for granted—the real financial benefit of congregations. To begin, we listed the programs we host or are involved with that quantifiable value of offering sanctuary to vulnerable groups, such meet the program categories defined by Partners. We identified more than 50, ranging from social justice work to interfaith services to tutoring. Following the recommendations of Partners, we selected 10 of our biggest programs and worked through the steps to assess their public value to the community. These calculations took into consideration the amount of clergy and staff time, square footage of our building, utility expenses, number of church members and community members served, and rent paid. The “public value” of many of these programs reflects the relatively low square-footage rental charge at First Church relative to our neighbors. In other words, even though First Church charges each of these groups rent, we are offering extra value to them, and the hundreds of people served by them, by providing very affordable and centrally-located space. These calculations do not reflect the un-quantifiable value of offering sanctuary to vulnerable groups, such as people in recovery. Were we to calculate the public value of all of our programs using the Partners tool, our total would approach $1,000,000 a year. This Annual Public Value was last calculated in 2007. As part of this preservation project, we have also restored the front porch to its original color scheme and repaired some of the masonry on the porch. Finally, we will have an engineering study of the trusses supporting the roof over our sanctuary in anticipation of replacing our roof as part of our next capital project. 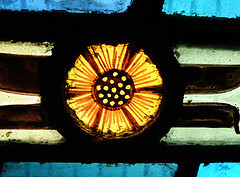 In addition to the roof, we hope to address accessibility in our building, repair our beautiful stained glass, and take on other renovation projects consistent with the results of a visioning process that will begin in 2009. Mariana Thomas is serving as the architect for this restoration project, and she has worked with us for a number of years. Architectural Conservation Services are being provided by Roy Ingraffia of Milner + Carr Conservation, LLC. 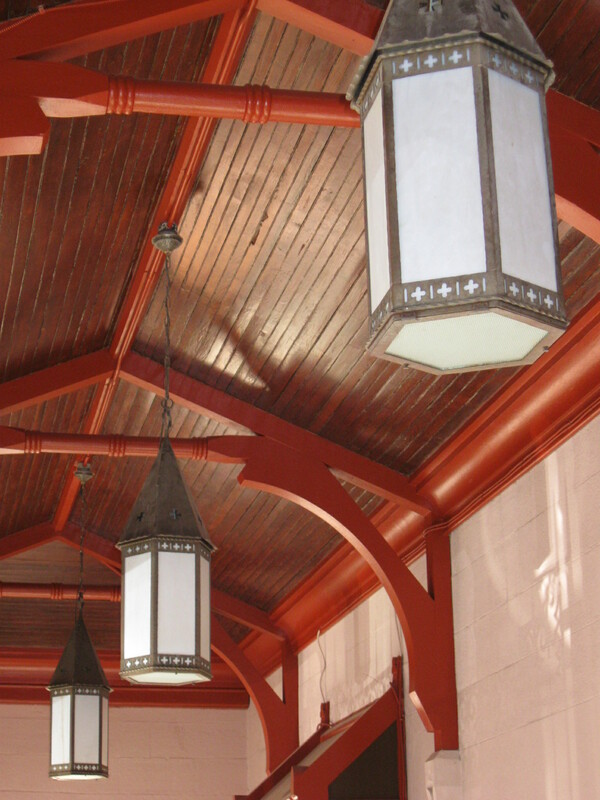 Structural Engineering Services are being provided by Keast & Hood Co.
We recently completed the renovation and repainting of the porch leading into our sanctuary, as part of the first stage of the preservation project. These lamps were salvaged from the Divine Lorraine Hotel.